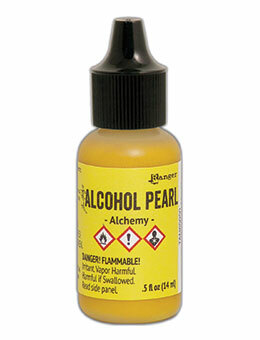 Alcohol Ink Pearls by Tim Holtz .5oz - ALCHEMY These Alcohol Ink Pearls are the same formulation as the original alcohol inks but with an added resin that allows the pearl in the mixture to stay suspended. This differs from the TH Mixative Pearl because that is an opaque white ink with pearl (that doesn't stay suspended), whereas the new Pearls are created using transparent alcohol inks with pearl suspended in it. Use alone or combine with the original TH alcohol inks. 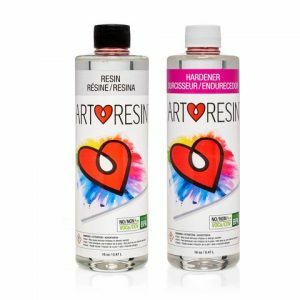 ArtResin Clear Resin- Chose the 8 oz or 32 oz Kit ArtResin epoxy resin is derived from museum conservation-grade materials to ensure its water-clear clarity is preserved for decades. Easy to mix and safe to use. Non toxic formulation. Watch the video here. See below for more information. Pewter Bails- Pack of 15 (Patti's choices.) 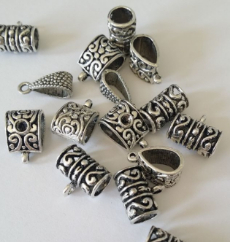 These pretty Pewter bails come in an assortment of 3 different styles. Most of these pewter bails will fit Buna cord or leather up to 4 mm in thickness. Some of the styles will go up to 6 mm. Pewter Bails- Pack of 13 (Wendy's choices.) 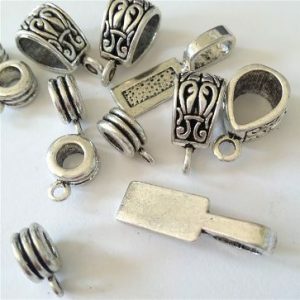 These Pewter bails come in an assortment of 3 different styles. Most of these pewter bails will fit Buna cord or leather up to 3 mm in thickness. Some of the styles will go up to 8 mm. Cosmic Shimmer Gilding Polish 50ml Water based and fast drying with a beautiful metallic sheen. Made in the UK. Dance Floor Texture Stamp by Helen Breil "These high quality rubber stamps are all 4"x 5" in size and will go through most pasta machines for those of you working in polymer clay. They also work well with metal clay, metal etching, fabrics and paper projects." 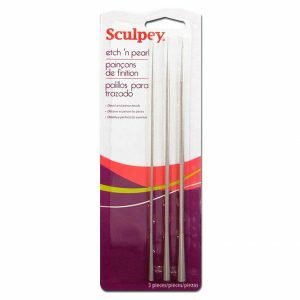 POLYFORM-Sculpey Etch 'n Pearl Set. Use the pointed ends of these tools to add fine details to clay or to pierce beads. Use the concave ends to create delicate pearl patterns. 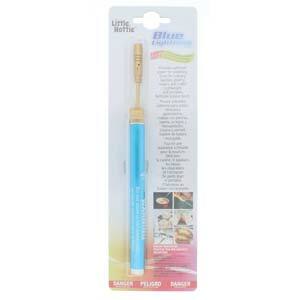 This package contains three metal Etch 'n Pearl tools in different sizes: 4mm, 6mm, 8mm. Clean with soap and water. Caution: points are extremely sharp: handle with care. Ginkgo Toss Texture Stamp by Helen Breil "These high quality rubber stamps are all 4"x 5" in size and will go through most pasta machines for those of you working in polymer clay. They also work well with metal clay, metal etching, fabrics and paper projects." 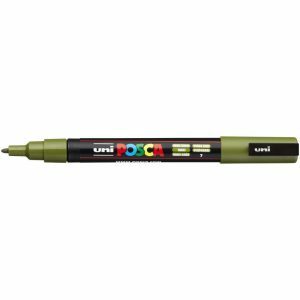 KRYLON-Leafing Pens are sleek and ideal for all types of creative detailing. 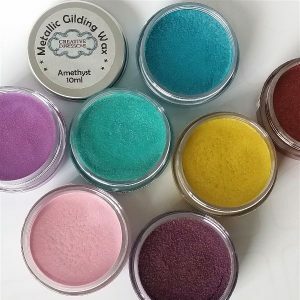 Great for use with your alcohol ink projects and polymer clay. The Unique valve system allows for dispensing paint in a smooth, controlled flow. Ideal for embellishing many different craft projects. 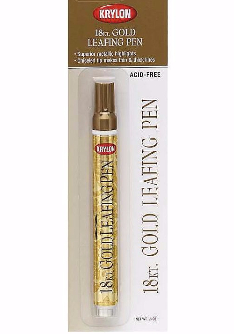 1 Gold leafing pen. 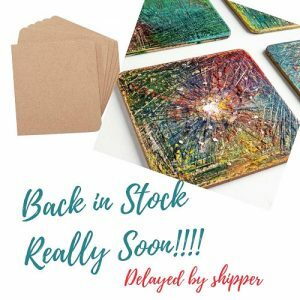 MDF Coaster Blanks 4"x 4" set of 6 OMG! Endless possibilities. Square coaster set made of MDF material. Coasters measure 4 x 4 inches each. 6 coasters per package. Perfect for gift giving. Make personalized coasters, wall art or shelf art. So many possibilities. Use clay, alcohol ink, silk screens, texture stamps, resin and more! Samples shown were created using Gilders Paste. Mount your alcohol Ink artworks as shown similarly here by Jane Monteith. 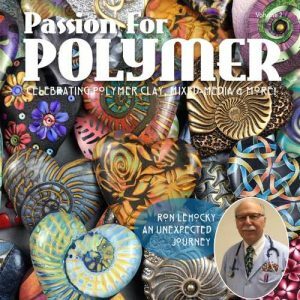 Passion for Polymer Magazine -Volume 2 2019 This publication is the 2nd issue and is full of inspiring ideas for polymer clayers of all skill levels. The quality of this publication is second to none. It feels more like a book than a magazine. You'll want to keep this for years to come. What a great reference. Full of tutorials and tips. 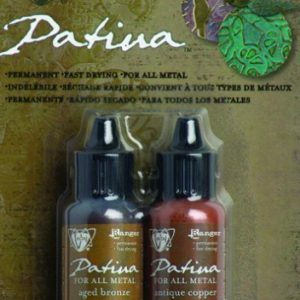 Patina Kit-Vintaj Ancient Coin Collection (2pcs)-Aged Bronze & Antique Copper Vintaj Metallic Patinas, like other Vintaj Patinas, are opaque inks specially formulated by Ranger to adhere to metal. They create beautiful and durable patina effects, and easily clean up with water. The Patinas will colorize natural brass, metals and artisan copper findings and filigree for gorgeous jewelry and embellishments.Metallic colors are available in Aged Bronze, Antique Copper, Nouveau Silver, and Victorian Gold.The Metallic Patinas can be blended and layered with a patina palette of 21 hues to create endless patina effects. Mix with Glaze to work as an extender and create a color wash. Sold in sets of two, the color combinations were developed to mimic natural metallic patinas that would occur over time. 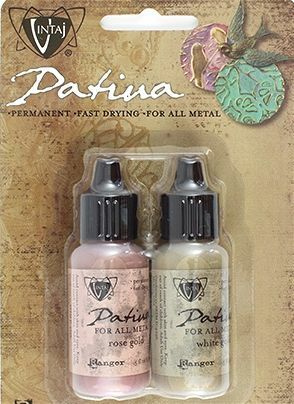 Patina Kit-Vintaj-Cherished Adornment (2pcs)-Rose Gold & White Gold Vintaj Metallic Patinas, like other Vintaj Patinas, are opaque inks specially formulated by Ranger to adhere to metal. They create beautiful and durable patina effects, and easily clean up with water. The Patinas will colorize natural brass, metals and artisan copper findings and filigree for gorgeous jewelry and embellishments.The Metallic Patinas can be blended and layered with a patina palette of 21 hues to create endless patina effects. Mix with Glaze to work as an extender and create a color wash. Sold in sets of two, the color combinations were developed to mimic natural metallic patinas that would occur over time. LH009 Blue Lighting Butane Pencil Torch (Butane not supplied) Pencil Torch- 7.5" in length- Refillable with Butane This is perfect for bringing bubbles to the surface with your resin work. Great for small projects. This remarkable pencil torch allows you to control a blistering 2000ºF with pinpoint accuracy. It operates on standard butane (not included) & will burn for up to 15 minutes on one filling. Use for soldering jewelry pieces, brazing, or heating pipes. Made with an aluminum body with a brass control valve, neck, and tip." See below. 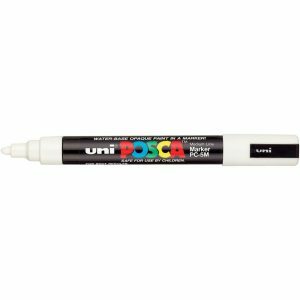 Uni-Paint Posca Paint Marker Pen - 2.5mm Tip PC-5M Medium Line-Bullet Tip Other colours available here. 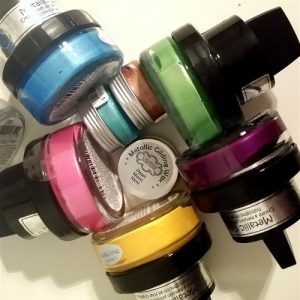 Markers contain a not-toxic, water-based pigment ink. 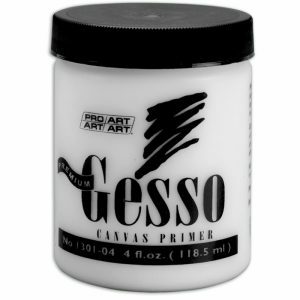 It will write on a variety of surfaces - glass, plaster, plastic, metal, wood, canvas and more. Paint can be scraped off nonporous surfaces. Alcohol and solvent free. Recommended by Alexis Bonavitacola for some of her online classes. Read Between the Lines Texture Stamp by Helen Breil "These high quality rubber stamps are all 4"x 5" in size and will go through most pasta machines for those of you working in polymer clay. 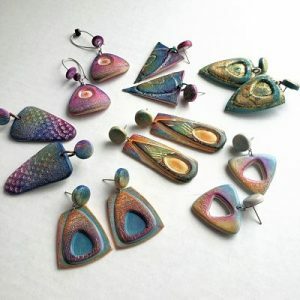 They also work well with metal clay, metal etching, fabrics and paper projects." Mississauga Website Design by iGo Sales and Marketing, Inc.